It’s not hard to spot the ethno-racial profiling Chinese authorities use to clamp down on Uighur resistance. 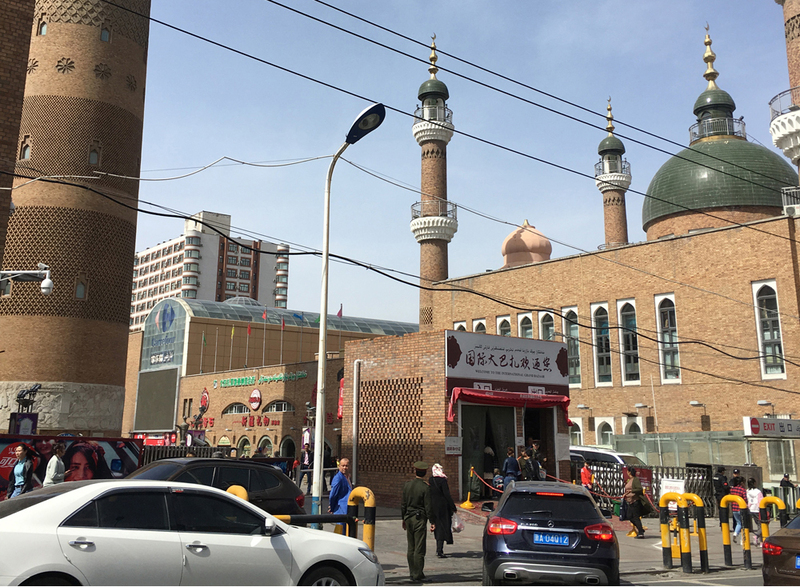 In recent years, Chinese authorities have established numerous checkpoints in cities and towns across Xinjiang, the vast province that abuts post-Soviet Central Asia. In some areas, one is unable to walk more than a couple of hundred meters between checkpoints, I found during a visit this month. Yet the checkpoints seem to target only those who appear to be Uighur – a Turkic ethnic group. Han Chinese and those with obviously foreign characteristics are usually directed through the checkpoints with the wave of a hand. At the checkpoint exiting the high-speed rail station in Turpan, a city of over 600,000 in eastern Xinjiang, I observed the way yerlik (“native,” i.e. 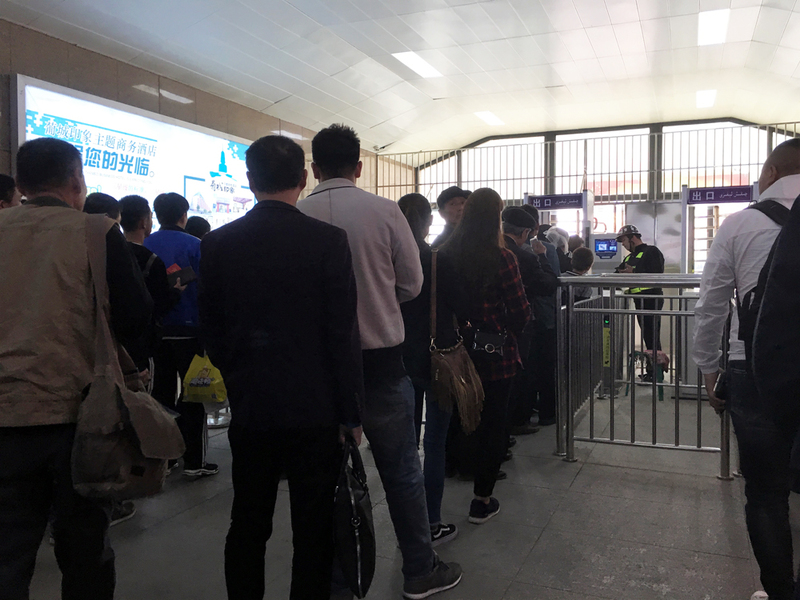 Uighur) people were directed through two long lines to have their IDs checked while others were able to go through an exit gate on the left without any check at all. The determination of who was “native” was made by a Uighur officer who appeared to be scanning faces. What for? Skin-tone and the shape of eyes and noses? And probably to see if individuals were acting in a suspicious manner. People who walked confidently without looking at the officer were sometimes read as Han (and waved through), even if they were not. A face scan checkpoint to exit the high-speed train in Turpan. The line on the left side which goes through a simple metal gate opened by an officer is for Han people. Speaking Uighur, I asked Uighur women around me which line a foreigner should go through. They said I should go with them. When it was my turn at the front of the line I explained in Uighur to a young Uighur officer that I was a foreigner. He said we needed to go into the police station across the square to register. As we walked toward the station he asked me in a pointed way if I could also speak Chinese. I said I could. He seemed to be suggesting that I do so when we entered the station itself. We joked about how hard it was to learn languages. He said he didn’t have good learning environment, so his English was not good. When I entered the police station I understood why he was suggesting I speak Chinese: The senior Han officers were observing the work of the many junior Uighur police officers in the station. If I spoke Uighur, it could have caused an unnecessary problem. When questioned, I explained in Chinese that I was just visiting Turpan for the afternoon and planning to see some tourist sites. They joked about how in America people were able to take vacations. The police never get a break, they said. An Uighur officer scanned my passport photo and then matched it to a scan of my face using an app on her phone. The officers explained that this scanning was for my protection while I was in Turpan. Face-scanning is just a normal part of life here, they indicated. Since 2009 there have been a number of large-scale violent incidents involving Uighurs, state security and Han Chinese civilians. Since 2014 the state has conducted a so-called People’s War on Terror that has subjected Uighurs between the ages of 15-45 to intense scrutiny. As a result of this campaign, the state has detained hundreds of thousands of young Uighurs in a reeducation camp system while boosting the number of police. While I was in the police station, a young Uighur man was escorted in. He was nervous and stuttering a bit, his face was pale. The officer accompanying him said his ID had beeped when he went through the checkpoint. At this checkpoint in Kashgar the sign says in both Uighur and Chinese that ID cards will be checked. In practice only Uighur IDs are checked. At some checkpoints, officers also asked young Uighurs to give them the passwords to open their smartphones. 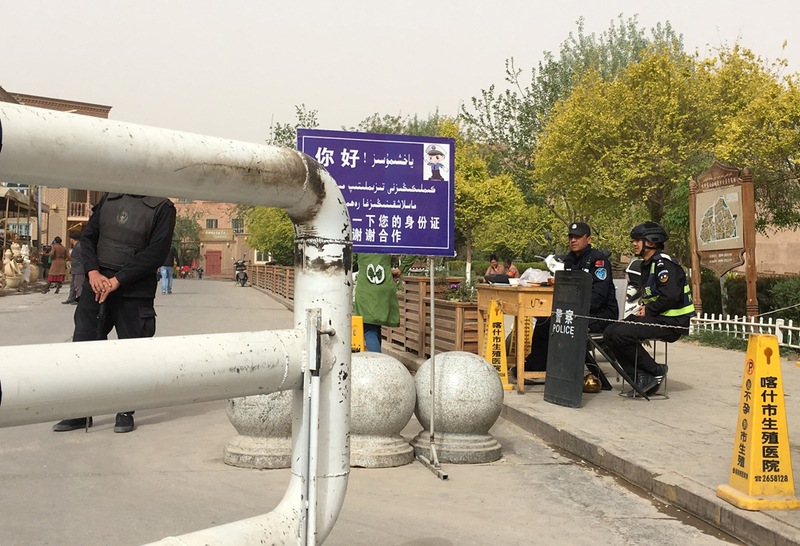 At these checkpoints, the officers looked at the spyware app Clean Net Guard (Jingwang Weishi) that all Uighurs are now required to install on their phones. The officers matched the registration of the phone to the ID of the person, and they also checked if any alerts had been issued by the app. The app scansthe content on the phone and content sent from the phone for any material deemed “extremist” or “separatist.” These types of checkpoints are particularly harrowing for young Uighurs. Evidence from these scans can be used to detain them indefinitely in the reeducation camps. At a checkpoint in Kashgar’s Old City I came across a Uighur woman screaming at a Han officer in Chinese. With tears in her eyes she was yelling, “How many people are left in your family?” He was trying to shut her up. People are not permitted to protest the indefinite detention of their loved ones. Those who do are often detained themselves. Darren Byler is a doctoral candidate in the Department of Anthropology at the University of Washington, where he studies emerging forms of art and politics among urban migrants in Chinese Central Asia (Xinjiang).